Welcome to our newly renovated hotel in Charleston SC, the affordable and comfortable Rodeway Inn Charleston. We look forward to being your home away from in this vibrant and interesting region. Choose us for simple, comfortable accommodations and friendly staff sure to serve you well. We hope you will make us your first choice when looking for a hotel near Northwoods Mall. We’re also here for you when you’re visiting Goose Creek Reservoir, Whirlin' Waters Adventure Waterpark, Summerville Speedway, Middleton Plantation and Wannamaker County Park. These are just a few of the reasons people come to this area. Plus, we’re near all the local business, making us just as good a choice for business travelers as for pleasure travelers. When you stay with us, we provide you with amenities that make your stay great, including free wifi and a free breakfast. 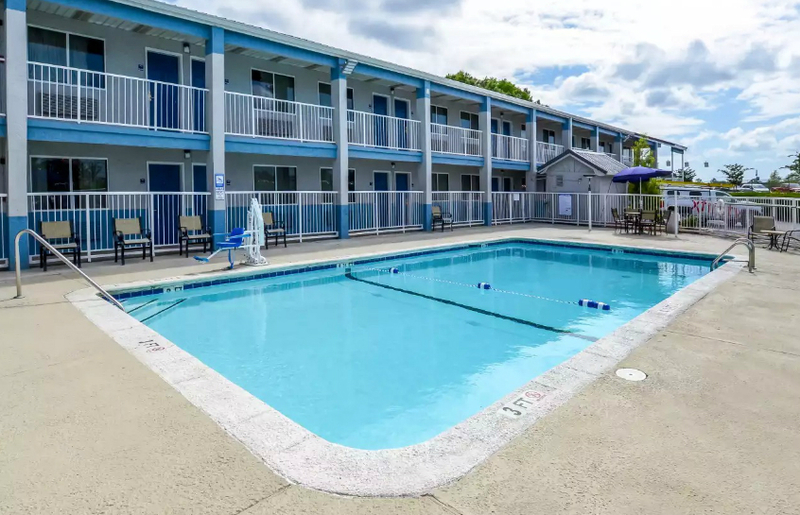 Other amenities include a seasonal outdoor pool and guest laundry facilities. In your room, enjoy a coffee maker, microwave, hair dryer, iron with ironing board and free movie channels. Why not make us your first choice when you need a hotel in Charleston SC? We’re here for you with an excellent experience worth repeating when you book with us. Choose our hotel near Northwood Mall and so much more – and choose comfort and value. 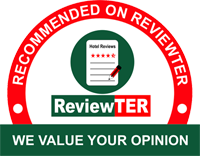 Rodeway Inn Charleston is an intelligent choice of hotels in Charleston SC for business travelers because of our excellent rates, our great comfort and our well-chosen location. Because our property is carefully built and recently renovated and improved, you're sure to get the peace and quiet you need to wake up to refreshed mornings. Plus, we’re a smart selection of Charleston Northwoods Mall hotel and your most sensible choice of a Charleston hotel near Naval Weapon Station. While some local hotels are pricey, others are simply not that nice. We offer you premium value and good convenience too, so what more could you want? We'll be here for you with a good experience whenever you need us. The most affordable of the hotels near Whirlin’ Waters Adventure Park, we’re your choice of family-friendly hotels Charleston SC travelers can depend on. Our top selection of hotel near Goose Creek Reservoir and hotel near Middleton Plantation is here for you with free wifi, a free breakfast, a pool and more. It makes real sense to book with us for a simple, comfortable and convenient experience. But we’re a busy place that many travelers already know about, so you must book early in most cases to get a room. We'll always do our very best to accommodate you conveniently and in comfort when you make the smart call to us. For an affordable hotel stay at a choice of hotels Charleston, South Carolina can be proud of, we're here for you at this Rodeway Inn. 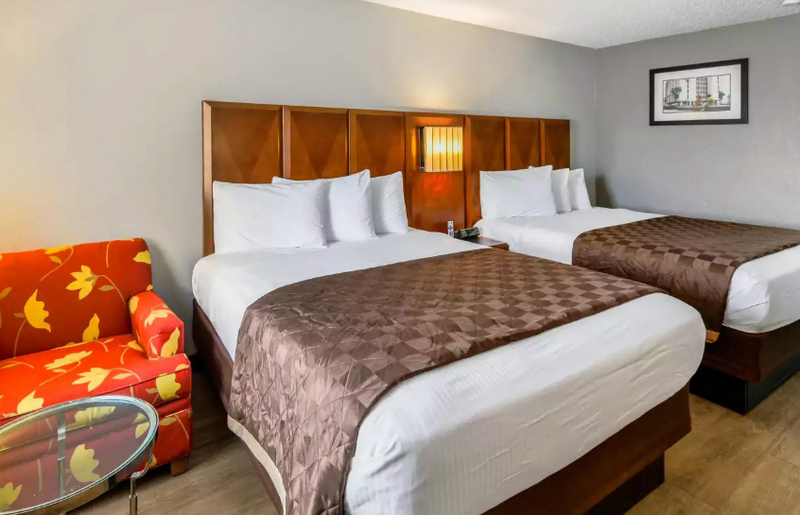 No matter what brings you and your family or colleagues to our Charleston hotel off Interstate 26, we'll make your experience affordable enough that you'll want to come back soon. 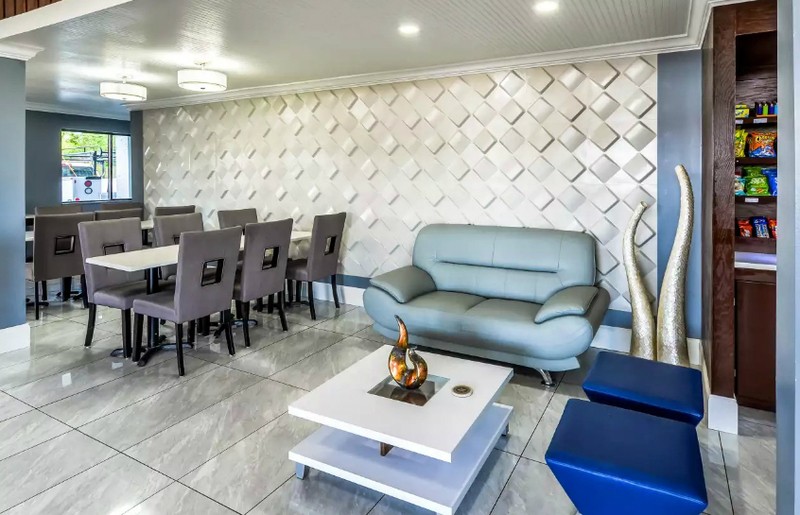 Whether you're looking specifically for something like a Charleston hotel near Tanger Outlet or simply want the best in overall quality and convenience in the area, you can be sure we'll be here for you. We feature amenity-rich rooms you'll enjoy staying in. Why not book now with us to avoid the disappointment of finding that we’re full? Looking for hotels near historic Charleston SC? Charleston hotels near the downtown historic district aren’t necessarily a great place to stay, but we are at this Rodeway Inn. Why not book now at our hotel in Charleston, South Carolina to make sure you get a spot? We make a great choice of hotels and motels no matter why you're coming to the area. Let us prove to you that we deserve your business. Staying with us will prove to be a smart decision you'll want to repeat. And it all starts with your booking one of the comfortable rooms at our convenient hotel right away. May we be of service to you? Northwoods Mall has everything you’d expect and more, and it couldn’t be closer when you stay in comfort with us. Get downtown and see all the quaint and charming history. It’s alive and well in Charleston, and you’ll feel welcome. Go outside and see the many outdoor recreational opportunities available to you in Charleston and around the area. Many are close to our hotel. 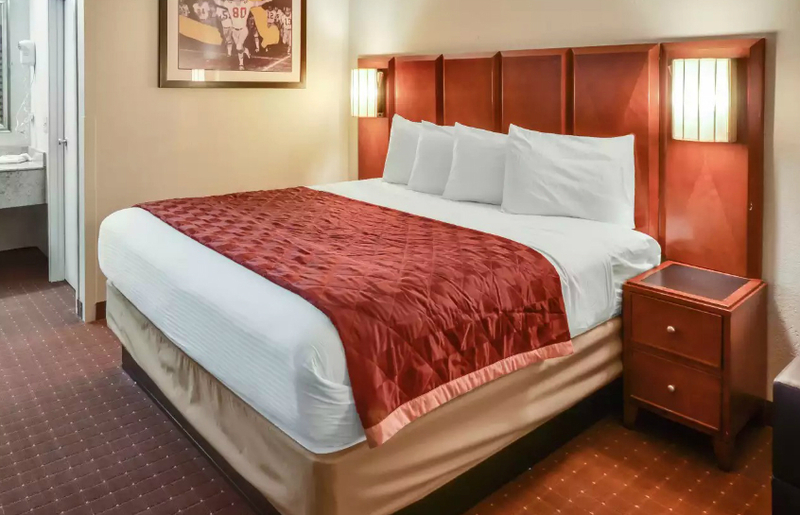 This Rodeway Inn is near I-26, meaning we’re the perfect choice for those just passing through. Stay with us in comfort no matter why you’re in the area. Pets are Allowed. The pet accommodation is up to 20.00 USD per night per pet. There is a maximum size limit of 50 pounds per pet with a maximum limit of 2 pets per room. Must be at least 21 years of age for check-in. A valid government ID will be required upon check in. All guests paying with cash or pre-paid credit cards are required to pay $50.00 USD deposit for incidentals. We regret to inform that reservations will not be honored if the guest has a residence of 30 miles radius from the property location. We will not honor employee rates within a 30-mile radius. This website is owned and maintained by Rodeway Inn in North Charleston a licensed user of certain proprietary trademarks and service marks of Choice Hotels International, Inc.